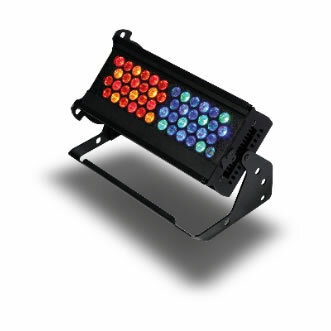 The Chroma-Q® Color Force™ 12 is a truly multi-purpose LED fixture that is suitable for numerous entertainment lighting disciplines. The unit provides power across the spectrum, from deep cold blues to red hot lava looks all from a single fixture. At only 300mm / 1ft long, the unit is ideal for floor, wall or truss mounting. It also provides a massive output of 2,400 lumens, easily washing up to 8m / 26ft with smooth, theatrical grade dimming.